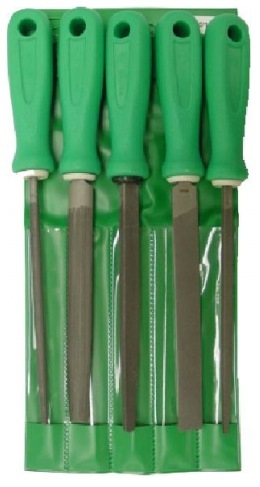 5-piece file set contains one each of hand, halfround, three-square, square and round. All files are second cut, with plastic handles, and are packed in a plastic pouch. 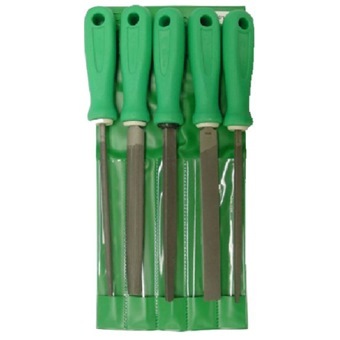 5-piece file set contains one each of hand, halfround, three-square, square and round. All files are second cut, with plastic handles, and are packed in a plastic pouch.